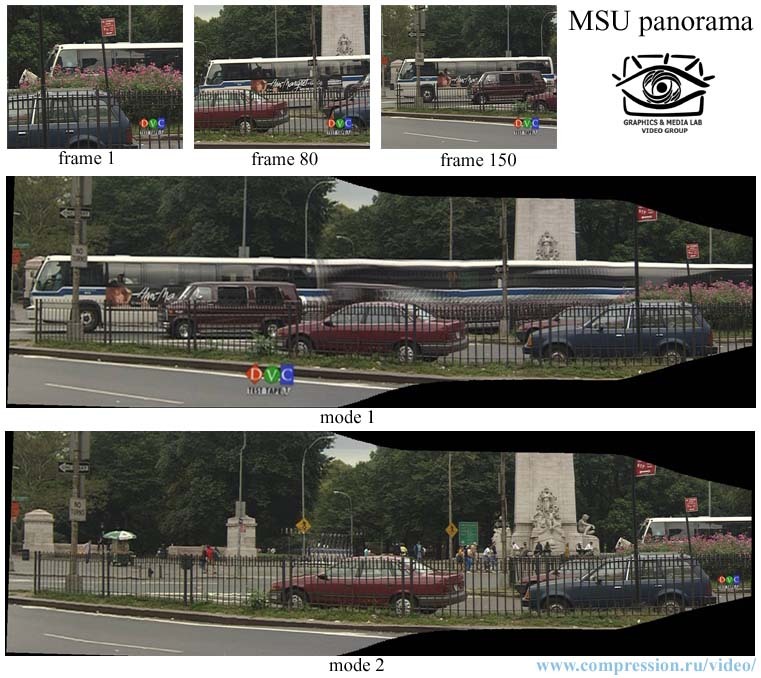 The MSU Panorama Filter produces a complete panorama based on the movie scenes. The filter is based on motion vectors. Its output exceeds 30fps, which is a very good result. mode 2 - only previously undefined areas of the panorama are filled. Here are some examples of the filter performance in these two modes. 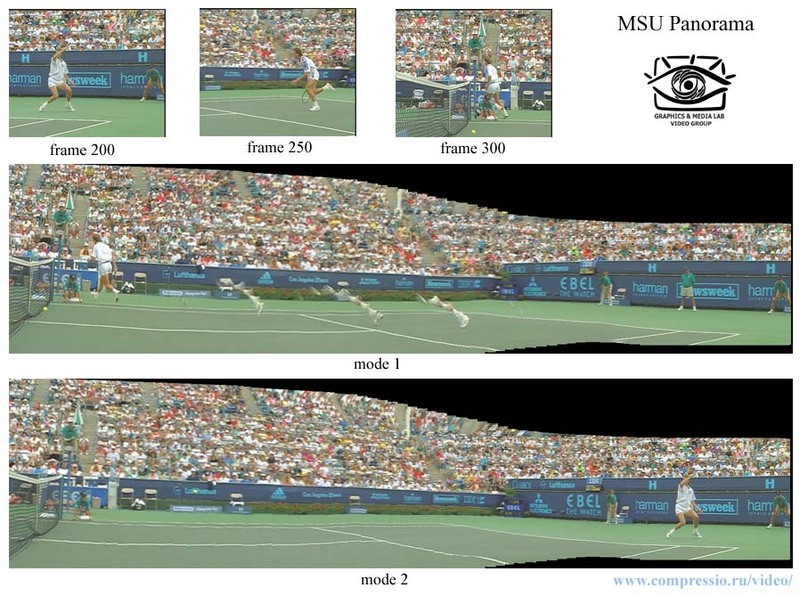 The pictures below demonstrate panorama production from two movies using both modes.